Yup, you read that right. For those who missed it…raid teams, plural. Starting in Battle for Dazar’alor, we’ll be running two raid teams. It’s possible that we’ll hit a slog in BfD and combine back into one, but for now, we’d rather run two teams and cross that bridge when we reach it, instead of bench 20+ people. 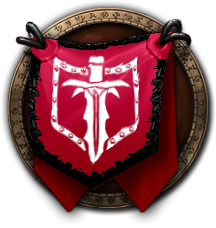 The Warlords referred to each team by an assigned color during the creation process (Black and Red – Lok’tar ogar! ), and the main tanks in each group decided on team names beyond the color designation. The teams will be in flux, and we will attempt to balance them. That means that if one team pulls way ahead of the other, we’ll mix them up so they both proceed at a comfortable pace. We’ll do our best to match skills, class needs, etc across the raid groups. Red team should fill out the sheet determining what days of the week they will be raiding on. We will let Red Team know asap, hopefully by the end of the week, so the group has plenty of time to prepare. Raid leads do not appear on either list (except Telann as tank one side and Zex (Ryzin) as healer the other). If teams run concurrently, we will split 2 and 2. If they go on opposite days, we will fill roles (dps, heal, etc) as needed. You’ve not spoken to a Warlord at length to get a spot in spite of the above – make sure to reach out to us! We will likely have you fill out a line on the Red Team sheet to help us decide which team would be best to fill you in on. We might make very small adjustments to teams before BfD launch, depending on comp needs and who will be available as backups or not. We will reach out to anyone affected by changes. Be sure to check out the Raider Homework before start. It has a video list of the first 8 bosses!